In the hunt for a compact SUV that can still hit the trails with the best of them? Look no further than the 2019 Jeep Compass, a compact SUV that puts the best of modern design into every single inch of its exterior. It’s a muscular SUV, even by full-size standards, with confident curves at all the right angles, and a diverse array of modern flourishes. 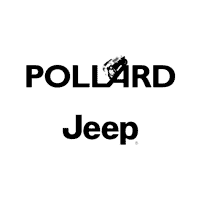 Pollard Jeep in Boulder invites you to learn more about the features of the new Compass, as well as its many trim levels that will appeal to a diverse variety of drivers. We’ve been serving Boulder Denver Longmont Thornton customers for many happy years now, and look forward to serving all of you for many more. Let’s dive into all the good stuff that 2019 Jeep Compass trim levels have to offer you. This Compass was built to impress even the pickiest of onlookers. There’s enough style here to take you out on the streets, off-road, or to a simple commute back and forth to work, with many trims to choose from so that you can always get the look you want. If you love to have a bit of the outdoors in your Jeep, no worries. The beautiful and available dual-pane panoramic sunroof is certain to bring that extra style you demand on your Jeep, as well as the functionality of bringing the outdoors right inside your Compass. It’s a beautiful view. Beautiful and sophisticated flourishes exist on every part of the interior, from the crafted black leather trim of the Altitude to the black with ruby red leather or cloth stitching of the Trailhawk. There’s plenty of variety to choose from in designing your interior. Jeep put a huge focus on connectivity as well, setting you up with UCONNECT via an intuitive 8.4 inch touchscreen, complete with Apple CarPlay and Android Auto, two of the most indispensable entertainment apps to ever hit vehicles. Different trim levels will have different technology built in, and you can always go “up” a trim to a higher level if you need more tech. And if music is your thing, the optional (on some trims) BeatsAudio™ Premium Sound System comes complete with 9 speakers certain to give you the sound you desire. Many folks use their Compass to go off-road adventuring, so the powertrain and mechanical specs are very important to our Pollard Jeep in Boulder customers. We’re pleased to announce the powertrain lineup is strong for the 2019 model. Not only is the engine lineup strong, but you’ve got the revolutionary Selec-Terrain® Traction Management System to help you navigate complex off-road environments like sand, snow, mud, and rock, just at your command. Your 2.4L Tigershark® engine gives you a steady 180 horsepower, 175 lbs-ft of torque, and 2,000 pounds of towing capacity for a consistently thrilling ride. Pollard Jeep in Boulder takes safety very seriously, especially in vehicles that are meant to take you where other SUVs dare to go. Jeep really outdid themselves with the safety features here, not just with tech like rain-sensing wipers and a huge traction management system for different terrains, but with massive preventative safety features like blind spot monitoring, adaptive cruise control with stop and go functionality, and rear cross path detection, to name only a few of the advanced safety technologies that are equipped on your new Compass. It’s all serving Boulder Denver Longmont Thornton families with the safety features they deserve. 2019 Jeep Compass trim levels are plentiful and terrific at hitting all those “highlights” that Jeep owners usually have to choose from. With such diverse features, it can be hard selecting trim levels, but here are just a few highlights to help you decide. For so many years now, we’ve been serving Boulder Denver Longmont Thornton drivers with the vehicles that stand out as the best of the best. The 2019 Compass certainly earns its place as one of 2019’s most exciting SUVs. We’ll continue to feature it prominently among our lineup, as we know there are so many of you out there who need a vehicle that both gives you a reliable daily commute but also can take things off-road when the weekend comes. With a beautiful modern design, ruggedness to spare, plenty of personality, and a whole host of tech and safety features, the new Compass is worthy of a test drive. Call us today to try this one out for yourself. Our friendly team will show you what this beautiful SUV is all about.